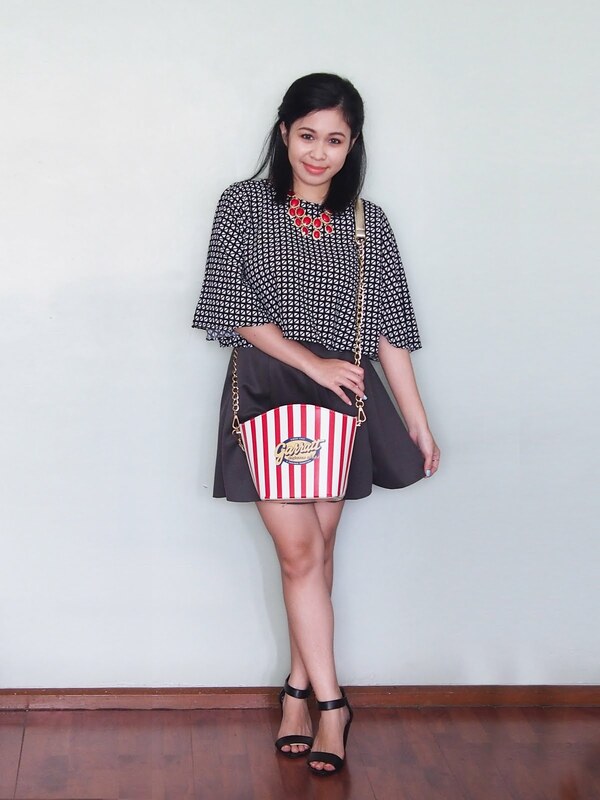 Yey to my first outfit post for 2015! 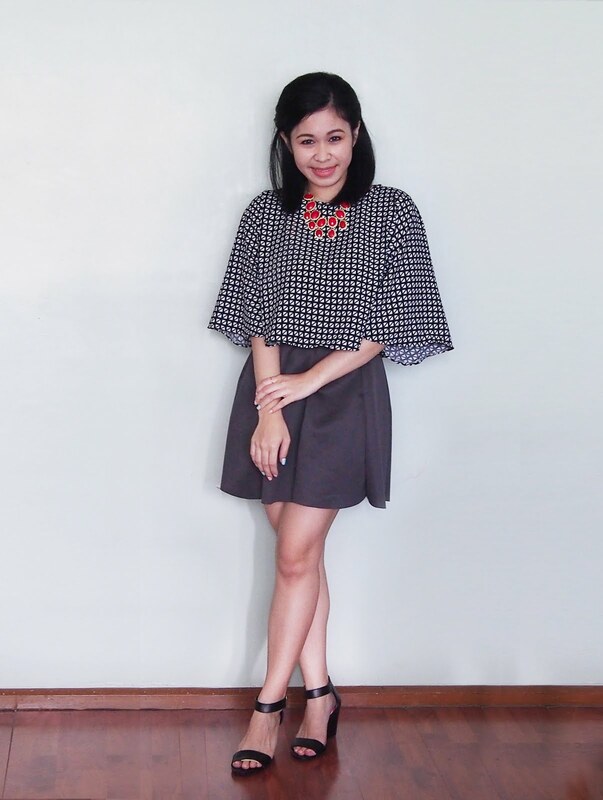 I'm also quite happy that finally I am able to take my own #ootd's with just me, my camera and a tripod! And whew, its nothing but tiring. I should get a remote soon. 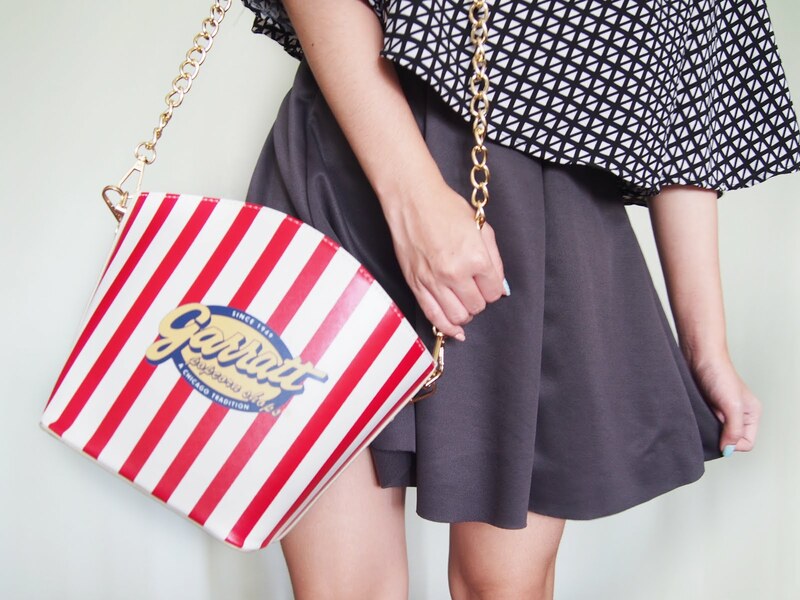 Geometric print square top, dark gray skirt and a popcorn bucket bag to celebrate beau's birthday. Super happy with this gift from le boyfie. Since it was his birthday I decided to use something he gave me instead. 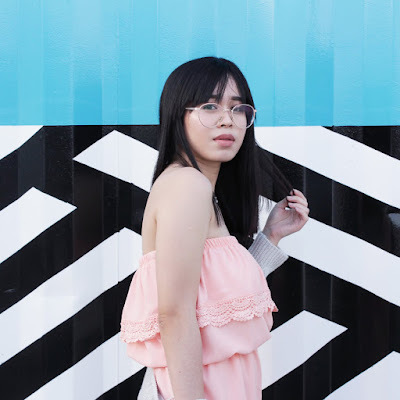 Looking forward to more outfit posts this year! Happy Happpyy Birthday again to the man who takes me even in my craziest and silliest.